I’m so #TeamNun. No matter how strict they were when I was in elementary school, one thing was always clear: they cared about us. Also, they cared about their student’s families: They’d let my parents pay tuition late when times were rough, as they often were. And they taught me EXCELLENT grammar and writing, and a most important forgotten art: penmanship! Over the weekend, Pope Francis reportedly became the first pontiff to meet with a transgendered person, meaning he’s much more open to gender inclusivity than any Catholic leader before him. But what of women in the church? 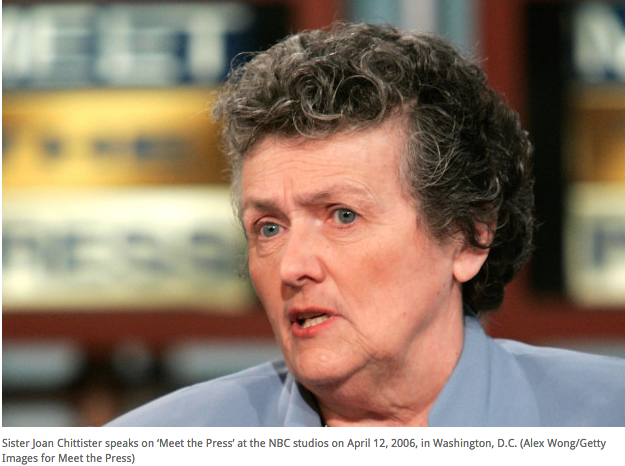 This Here and Now interview (on WBUR) of Sister Joan Chittister proves women religious aren’t just your kid’s disciplinarian anymore. Of course, most of us knew this already. But it’s good to see the discussion out there. Radical feminists? I think not. #TeamNun is in a class by themselves. I’ve teased out some of my favorite parts, but you can listen to the whole AUDIO interview here. Sister Joan Chittister: I would not deny that in every dimension of the church there is a great respect for the sisters. Since Vatican II, sisters have grown up too, just like women everywhere, and they basically highly educated and very committed people. When they began to function with confidence as full adults, that threatened an old church. The image of women religious by churchmen themselves was the eternal silent servant. Now you have a body of intelligent educated adult women and you’re facing a new climate in the church with a Pope who is apparently not afraid of difficult topics. I mean, they have a word for it that’s embarrassing; they call it radical feminism, which means they don’t even know what radical feminism is. What they mean is that a thinking, articulate woman with an agenda and intends to pursue it for the sake of women everywhere, as well as the families and the children we serve. HOST: Women cannot be priests still in the Catholic Church. Why is that door still closed? Now, I think we could just start with the profound theology of the human, and we wouldn’t necessarily be starting on the same foot we always have, as in women are different as men, women are not as fully human as men.. there’s no sense in that. This Pope, however, has opened the door to the question. If ti’s still a question for men, we’ll help them answer it, but it has to be addressed. You have to remember, too, that as much as we don’t want to admit it, the church has also taught racism, anti-semitism, and slavery, just as well as they teach sexism yet today. If this Pope, with what I see as a powerful and graced openness to the questions in our society, really pursues this question, we will all have a new consciousness of what it is to be human, to be female as well as male, and to be a church that’s really a church. HOST: What hope do you have of that? Sister Joan Chittister: I’m not even sure it’s hope anymore because we’re on the wrong side of history. Every single thing that we have dealt with this way has fallen. And this will fall, too, because it is so wrong. It’s theologically untenable, it’s psychologically ridiculous, and scientifically bizarre and bankrupt. These questions are problematic for several reasons that have been aptly outlined by both columnists like Ta-nehisi Coates (“The notion that violence within the black community is “background noise” is not supported by the historical record—or by Google. I have said this before. It’s almost as if Stop The Violence never happened, or The Interruptors never happened, orKendrick Lamar never happened. The call issued by Erica Ford at the end of thisDo The Right Thing retrospective is so common as to be ritual. It is not “black on black crime” that is background noise in America, but the pleas of black people.”) and academic scholars (“Giuliani presented no evidence that Black communities are not actually addressing violence in their own communities. It’s also useful to point out that based on the most recent crime statistics from the FBI in 2011, the White-on-White murder rate was .0014% of the population, while the Black-on-Black murder rate was .0069% (with rounding), a difference of .0055%.”) who can be found with a quick Google search. These comments also demonstrate a complete lack of empathy on their part, which I can only attribute to ignorance, as in legitimate naiveté about the majority of folks who live in high crime areas, and what they really want. My guess is they must not know too many families affected unnecessary violence, be it on the victim or perpetrator’s side. Lastly, they must not understand that, although it seems the media is ever present, thanks to the 24 hour news cycle and budget cuts due to the Internet and what it did to print journalism, resources within media organizations aren’t what they used to be. Gone are the days when a journalist would be assigned to cover crime in every single town. Do people really think people living in high crime areas are happy about the state of their neighborhoods? Or that if someone gets killed next door, it’s no big deal? It’s so much deeper than that. 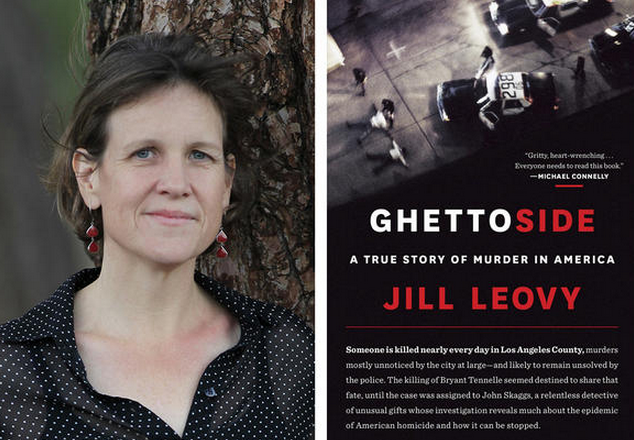 LUCKILY for us, journalist Jill Leovy has a new book in which she studies the epidemic of unsolved murders in African-American neighborhoods and the relationships between police and victims’ relatives, witnesses and suspects. I’m looking forward to this book, because it’s clear it’s not just from the perspective of victims, but it covers how the police respond to crime in tough areas. “It’s not the carnage that’s horrible, though. It’s the grief and the sadness of it that is – that will make your hair stand on end, and that is very, very difficult to deal with. The actual fact of bodies and blood is much easier to deal with than what you find when you go to somebody’s house five years later and they’re still shaking and weep instantly when you say the name of their loved one. In fact, “The Homicide Report” was the easiest homicide reporting I did in all my years of homicide reporting, and there was a reason for that. And I knew it going in. I think in some ways, at that time, I needed it. It’s because mostly, I was dealing with victims’ families right after the homicide. That’s a time when – in the normal course of reporting, that’s when you usually meet victims’ families – that first 48 hours, that first week, maybe, before the funeral, and, you know, that’s the easiest time because people are in shock. They are in a state of suspended disbelief. They don’t know what to think. They’re kind of frozen and wide-eyed, and it takes time with something as traumatic as homicide for the reality to sink in. And so it’s a lot harder to interview people three months later, six months later. Two years can be a really grueling point, I found – five years, very, very grueling. Homicide grief is very distinct, I think, from other kinds of bereavement, and the trajectory of it can be different. 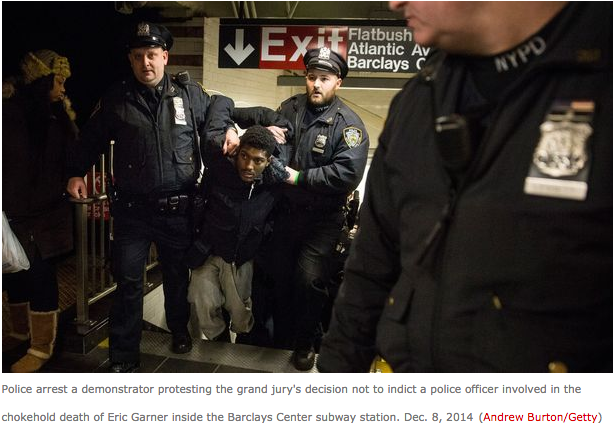 “Police hear that all the time: ‘You don’t care because he’s black. You’re not going to solve it because he’s black.’ And it’s very interesting, I – in terms of Ferguson and some of the other recent controversies – I was thinking that this is so complicated because there is, very definitely, a standard black grievance against police that you hear in South LA, that has to do with the generally understood problem – too much consent searches, we say, in LA, too much stop-and-frisk, too heavy of law enforcement, too much presumption of guilt when you take stops. What I hear, when I’m in these neighborhoods, is a combination. It’s a two-pronged grievance. There’s another half of that. And the other half is, I get stopped too much for nothing, and the police don’t go after the real killers. They don’t go after the really serious criminals in this neighborhood. They’re stopping me for what I’ve got in my pocket, but I know someone who got killed down the street. And they haven’t solved the homicide, and yet, that second half seems to never break out and make it into the national dialogue about it. To me, it has always been that double-sided grievance of too much of the wrong kind of policing, not enough of the policing we actually want in these neighborhoods. Hear the audio interview, or read the transcript, here. And check out these other related stories, including one where a 17-year veteran of the LAPD says community members can stop police brutality by cooperating with police, and this one, in which the architect of ‘Broken Windows’ defends his theory. Brooklyn rapper, Justin Bates (a Chicago native), tells me he often gets “You remind me of someone,” in regards to his sound. YES. Is it Red Man? I’m not sure. But one thing is clear: He’s got a GREAT voice. Obviously, he’s a great lyricist, too, or I wouldn’t be sharing his latest track, “All On We,” produced by Madwreck. I dig the soulful intro, and again, can’t say enough of Bates’ voice. This song is very reminiscent of 90s New York hip hop for me! 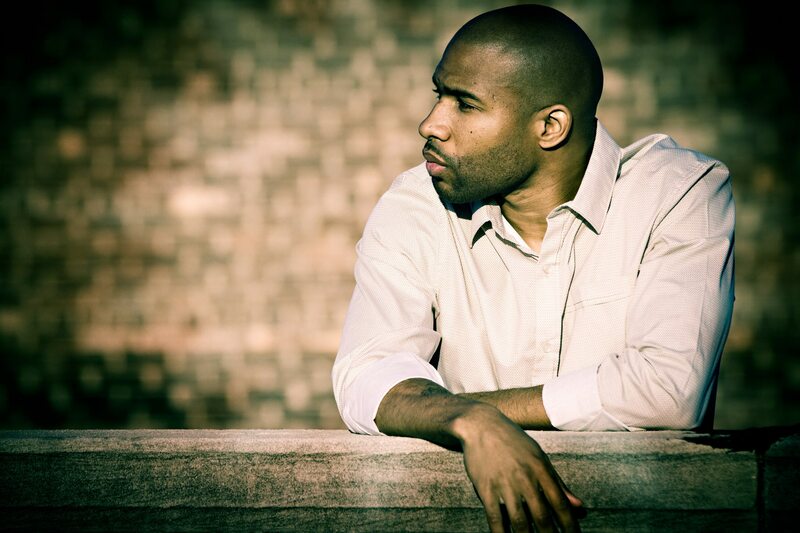 And check out this video for his track, “Turn The Music Up,” from 2012. Oh my Lord that meme about traveling from 1776. I nearly fell out of my chair. 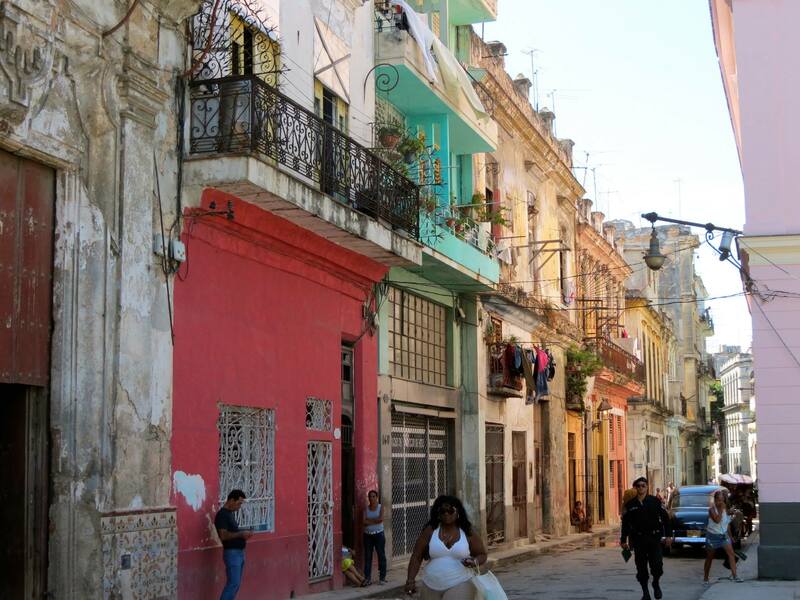 Margaret E. Crahan is Director of the Cuba Program at the Institute for Latin American Studies at Columbia University. Watch a recent talk she gave on Cuba here. Sujatha Fernandes is Associate Professor of Sociology at Queens College, CUNY, and author of Cuba Represent! 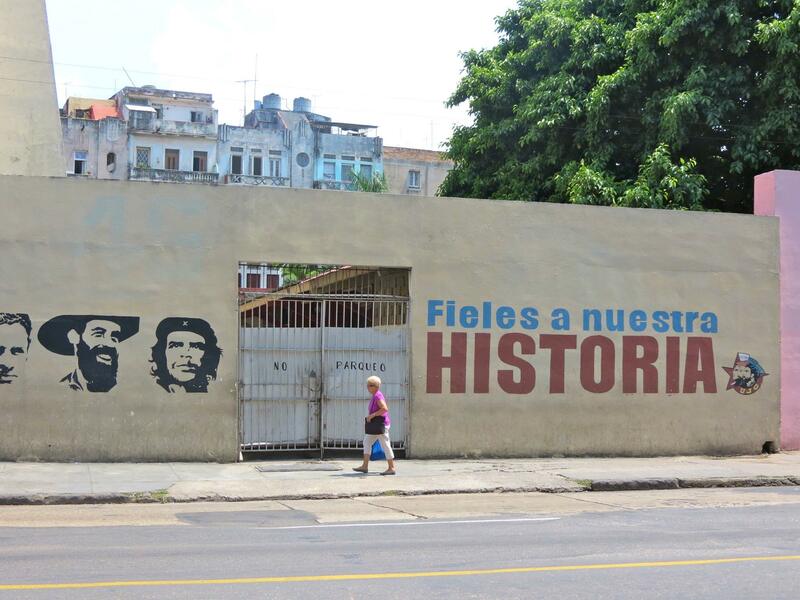 : Cuban Arts, State Power, and the Making of New Revolutionary Cultures, which combines social theory and political economy with in-depth, engaged ethnography to explore social agency in post-Soviet Cuba through the arts. Alberto R. Tornés, who holds a BA in International Relations from Fordham and an MA in Special and Bilingual Education from CUNY’s City College, is Director of Economic Empowerment at Raíces de Esperanza or Roots of Hope, an international non-profit, non-partisan network of young people who sponsor academic and cultural initiatives focused on youth empowerment in Cuba. 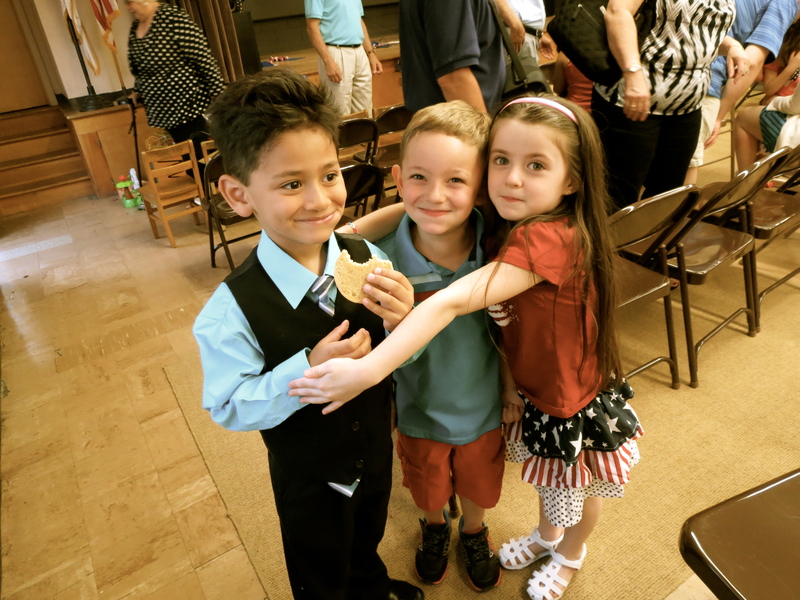 Thursday, February 26, 12:30-2:30 p.m.
My nephew (in the center) needs to learn a second language. He certainly understands some Spanish, but at 5, he’s at the right age to really inhale more of it! Learning a second language could do more than help a child travel internationally: It could completely change the way they look at life-according to a new study from Concordia University in Montreal. As psychology Professor Krista Byers-Heinlein and undergraduate student/co-author Bianca Garcia explain, most young children believe human and animal characteristics are innate, and that traits such as native language and clothing preference are intrinsic, not acquired. Read more here via Raw Story.